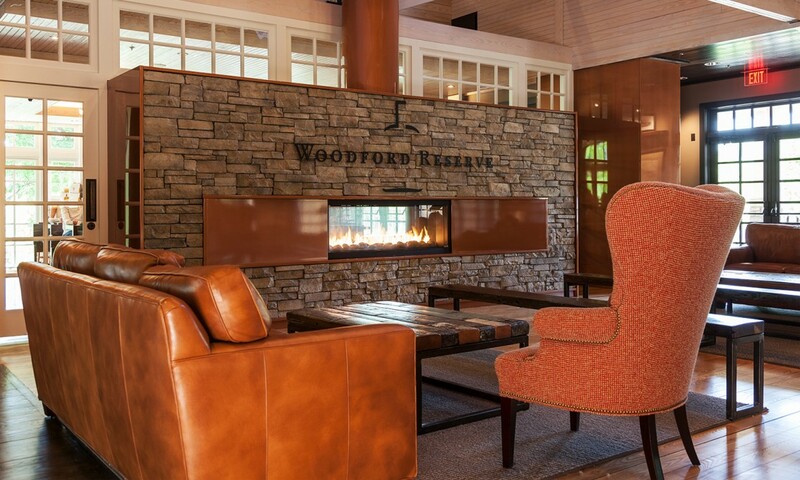 Woodford Reserve, Kentucky’s oldest bourbon distillery, traces its origins to 1797. 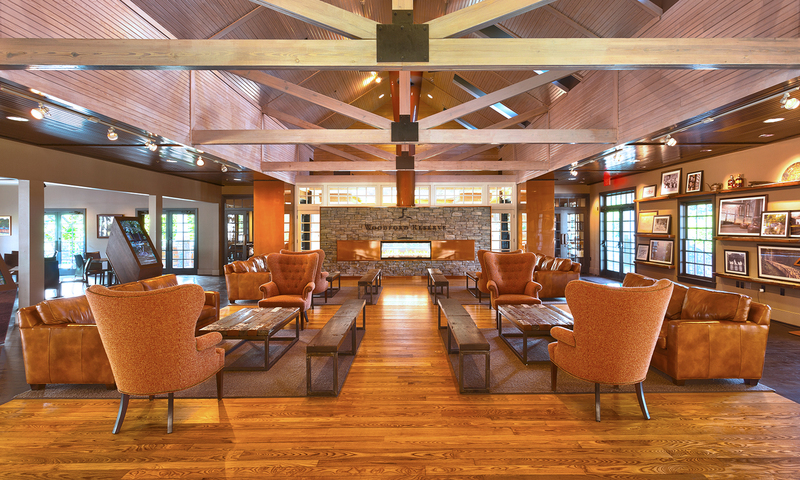 By 2014 a booming interest in American whiskey inspired some updates to the homeplace. 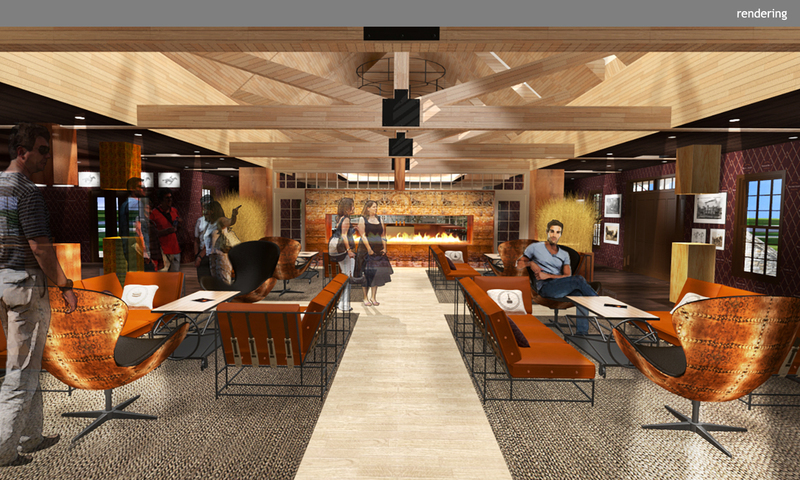 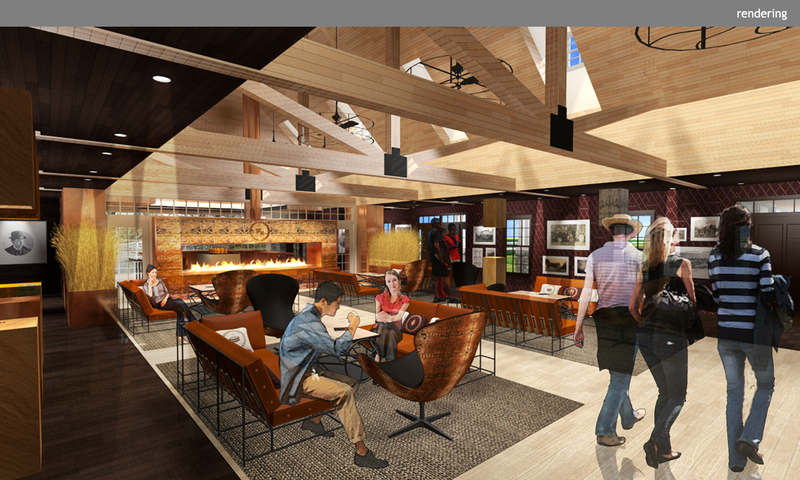 The visitor center renovation features a branded lounge area and a tasting room separated by a fireplace wall. 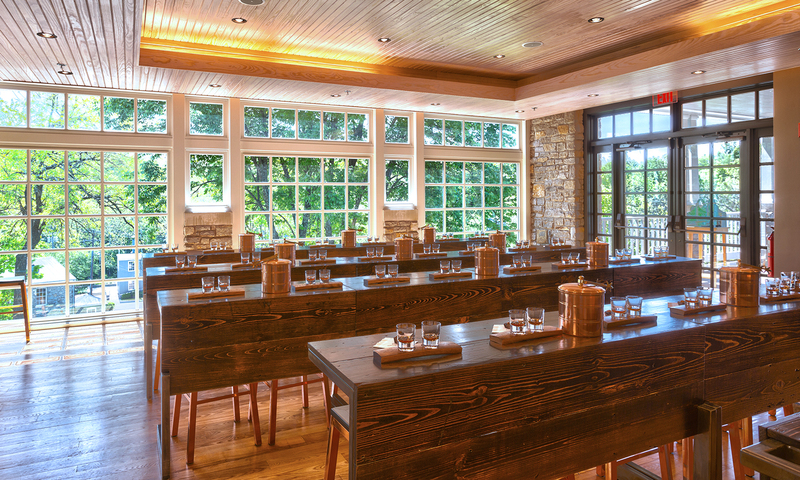 The light-filled rooms are focused on copper, wood, and fire — materials critical to the distillation process that further engage visitors in bourbon’s “five sources of flavor:” grain, water, fermentation, distillation, and aging. 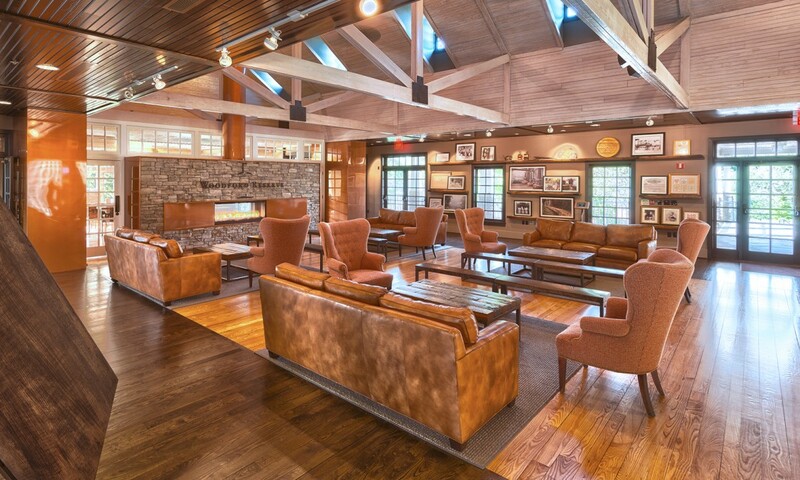 The comfortable seating and long communal tabletops made from reclaimed barn wood and a cypress vat at the distillery create a club-like atmosphere where visitors gladly linger.